With so much choice of bread making books out there, it’s hard to find the one book that’s right for you. I’ve bought my fair share of bread books and they are all wonderfully decorative for my kitchen shelf. However, there is only a handful of books I feel really close to and use on a regular basis. So, here they are – my top four bread baking books. Before I jump into the list, a quick word on the best bread making book for beginners. For those new to bread baking, I would recommend to start with the first book listed below. Bread Matters is a wonderful book explaining the process of bread baking in a clear and uncomplicated way. There are plenty of bread recipes for both yeast and sourdough breads, all of which are easy-to-follow. It includes a handy list of flours and their respective properties, it explains the various bread ingredients and techniques in detail and is full of practical advice for the home baker. 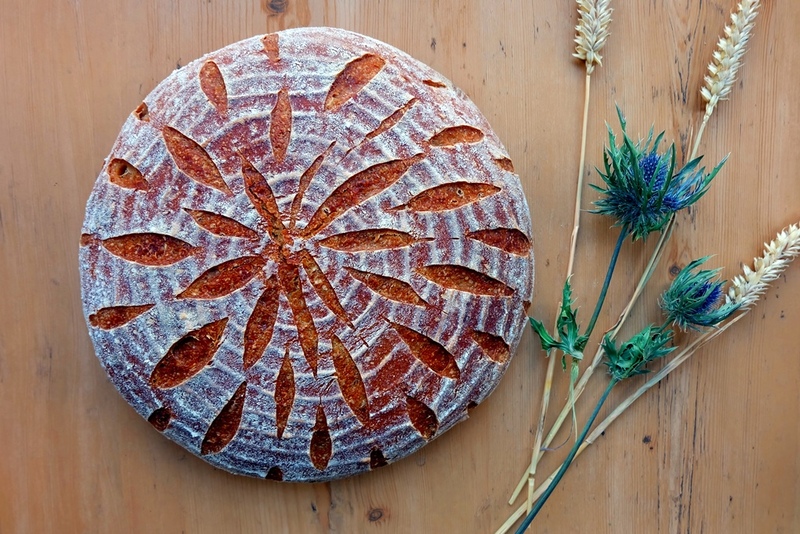 For people passionate about real bread, organic ingredients and sourdough baking. Bread Matters thoroughly explains every aspect of bread making, which ingredients are necessary and which aren’t, provides troubleshooting advice and features a superb selection of recipes. My favourite recipe in the book is Borodinsky Bread, a Russian-style rye bread with coriander seeds, molasses and malt extract. The ultimate guide to sourdough baking, the Do Sourdough bread making book includes step-by-step instructions to making your own sourdough starter as well as recipes for basic loaves, sourdough pizza and more. This is the best sourdough bread book out there, helping to demystify the sourdough process and offering practical troubleshooting advice. For beginners and more advanced bakers alike, it’s for everyone who wants to bake a top notch loaf at home. The book contains the best introduction to home bread baking I’ve come across so far and puts a lot of emphasis on two crucial factors which tend to be frequently brushed over: the importance of time and temperature during the proving process. Recipes range from basic yeasted breads right through to complex levain-based breads and pizzas. My favourite bread is the Overnight Country Blonde, a pure natural sourdough loaf. For German speakers only I’m afraid. This German bread recipe book contains about 40 recipes for traditional German breads, mainly using wheat, spelt and rye flours. It’s a great book with clear instructions and easy-to-follow recipes. My favourite bread is ‘Vollkornbrot mit Sonnenblumenkernen’ a deliciously moist loaf with roasted sunflower seeds. You can find an English version of this recipe for German sunflower seed bread over here. What are your favourite bread making books? Let me know!